NB: This article is part of a series on the new WordPress editing experience called "Gutenberg". If you are not familiar with Gutenberg, check out the first article in the series. As the Gutenberg project moves ever closer to merging with WordPress, users, administrators, designers, developers, and core contributors are raising concerns about timelines and what will happen to the community once the merge is complete. I've been thinking about this for the past year and over the last few weeks I've had several conversations that have helped bring into focus the key conditions I think need to be in place for Gutenberg to be a success. I present them to the community to start the conversation. Please add your own voice in the comments below, on social media using the #Gutenberg hashtag, on your own blog or website, and in the GitHub repository. Every viewpoint is relevant, every voice matters. The web was built to make content and information accessible to anyone and everyone. WordPress' core principle is to "Democratize Publishing" and a key part in achieving this is to make sure WordPress itself and the code generated by WordPress is accessible. The first condition for the success of Gutenberg is accessibility, both on the back end and on the front end. WordPress core is ostensibly accessible, and over the past several years significant efforts have been made put accessibility at the center of every conversation about WordPress. As Gutenberg merges with core, it is imperative that accessibility is not just maintained but improved. 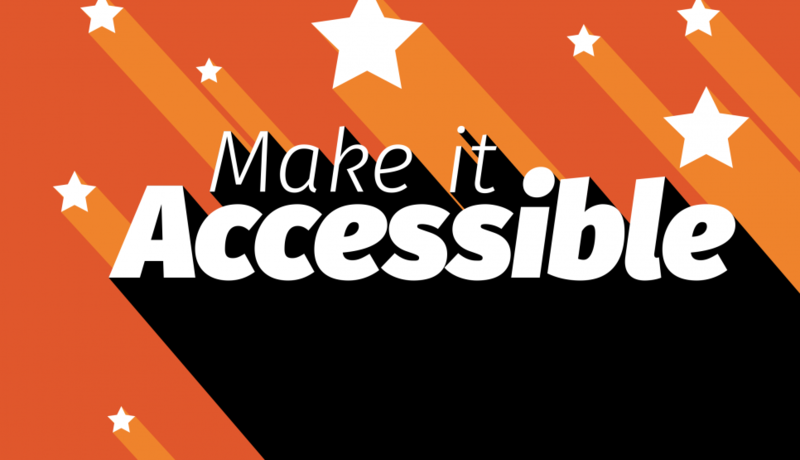 Web accessibility is not just good practice (an inaccessible site is a broken site) and a moral duty, it is also becoming a legal requirement in many regions. Meeting this condition is a necessity for the future success of WordPress and the millions of sites it runs. For this condition to be met, Gutenberg and the merged version need to be able to pass independent comprehensive accessibility review. During his State of the Word address at WordCamp US 2017, project lead Matt Mullenweg suggested Gutenberg would be "ready for the widest audience" in April 2018. The comment is ambiguous (view it for yourself here) and it is not clear whether he means the beta plugin is ready to be pushed to all WordPress users for testing or Gutenberg is ready for core merge or if he thinks Gutenberg will be merged in core and WordPress 5.0 will release in April. I think (hope) he means Gutenberg will be ready for full-scale testing in April and will be pushed out so people can test it before it is merged to core at that time. If I'm informed otherwise I'll update this section. WordPress users need time to prepare for Gutenberg. They need comprehensive documentation and training, and need time to figure out how to run their blog/website/e-commerce store/community using this new version of WordPress. This is especially important for large-scale operations like educational institutions and publishers as they typically have complex publishing processes in place that need to be updated. Without a significant marketing push and proper documentation and training, WordPress users will feel as if their platform has been changed without their knowledge and it will cause them unnecessary hardship. Bridget Willard has written about this in more detail. A moratorium would provide ample lead-up time to ensure WordPress users and the businesses that rely on the platform have time to prepare. Because Gutenberg changes the way WordPress works, many themes and plugins will either work differently or not work properly with the rollout. Unless they are updated in advance. A change moratorium provides enough time to allow plugin and theme authors to a) learn how to build solutions for Gutenberg, and b) roll out necessary updates in advance of the final release. The goal here is to ensure when the switch happens, WordPress seamlessly transitions from old to new and everything continues to work. For that to happen, plugins and themes must already be updated to account for Gutenberg before WordPress updates. The alternative, to update WordPress and then be told to update a long list of plugins, or worse be told some plugins or themes will no longer work, is not tenable as it will appear to the people who use WordPress as WordPress being broken. If/when plugins and themes are updated, they will have to invest time and money in providing documentation and training for their users to help them prepare. Which leads us back to the first point: Gutenberg changes how WordPress works. This is easily the most controversial point, so I'll reiterate this is my personal opinion. Plugins and themes that won't update for various reasons. Custom setups that would need to be completely reengineered to work under Gutenberg. Custom setups that are too expensive to update. Processes and procedures that require expensive retraining of tens or hundreds or thousands of users. Legacy systems that can't be updated to Gutenberg for various reasons. Bottom line, there are valid reasons why many WordPress users and WordPress sites can't or will be unduly negatively affected by the upgrade to Gutenberg. The only responsible course of action from WordPress is to provide a clean solution for these users to opt out of the upgrade and stay on the last stable release, which will be 4.9.x. In other words, WordPress forks itself at 5.0 creating "WordPress Classic" for users and sites that can't or won't upgrade. For this to work, WordPress Classic would need to accept a feature freeze receiving only security updates. If it evolves independently, we'll invariably end up with two incompatible solutions. Here's the thing: If this is not done, the community will fracture and those who rely on pre-Gutenberg WordPress will either refuse to upgrade causing major security and maintenance issues, force a fork which will split the community, or abandon WordPress for other options. Neither of these outcomes are beneficial to anyone. The requirement of backwards compatibility can be removed, or reset to 5.0 meaning WordPress' code base can finally be updated and modernized. Data structures inside WordPress can be properly modularized and Gutenberg can move beyond the content blob. Plugin and theme authors can ship solutions that only work for WordPress Classic or WordPress New removing the need to support both the new and the old editor. PHP and other infrastructure version requirements can be updated without leaving people behind. People who can't or don't want to upgrade can cleanly choose WordPress Classic as their solution. If people try to install WordPress in an environment that does not support the new version, they can automatically be sent to WordPress Classic for the top-of-the-line experience we have today. WordPress would be forked, which splits the community. Maintaining two versions requires twice as much work as maintaining one. Eventually a fork will evolve on its own, feature freeze or not. A fork provides "bad optics" as they say. Not forking WordPress means the project needs to retain backwards compatibility. That means continued support for both the current (classic) editor and the ever evolving Gutenberg experience. This will hold back and eventually block future innovation and WordPress will become a monster even Dr. Frankenstein would shun. The current approach to handling plugins and themes lacking Gutenberg support is to allow them to declare lack of support and force a fallback to the old editor. This will be used by plugin and theme developers who do not like Gutenberg to force WordPress to revert. Which in turn holds back future development. It also means plugin and theme developers have to ship code that supports both the classic editor and Gutenberg because any other theme or plugin may force WordPress to roll back. This issue was brought up by Kevin Hoffman brought this up during State of the Word, and the answer he got was, in my opinion, less than satisfactory (judge for yourself). One of the major issues with WordPress is how it handles content. Presently all post content sits in the post table as a single blob which makes it impossible to effectively query data without querying the whole post content. To get around this problem theme and plugin developers use custom fields, but these just stash all the info in another table so we end up with two blobs. To truly meet the goals of Gutenberg, the blob needs to be broken up and the data structures of WordPress need to be rearchitected. If WordPress is not forked, this will not be possible and the current structures will eventually render the application obsolete. Finally, if a clean fork is not created, parts of the community will shard off and force a fork. This will be damaging to the community as a whole because it will create an antagonistic relationship between those who support the "classic" fork and those who stay with the Gutenberg branch. With a clean fork, much of this animosity can be avoided or remedied, and we won't end up with a fractured community. Now that you know what I think needs to happen for this project to succeed, I want to know what you think. Like I said before, add your thoughts in the comments on this article, share them on social media using the #Gutenberg hashtag, publish your own articles, file issues and contribute to the project on GitHub, and keep the conversation going. I'm looking forward to having this conversation with you.